A peaberry is not your normal type of berry. They are not suitable for smoothies and most definitely can’t be baked in a pie. They can however be roasted and ground to make a delicious cup of coffee. 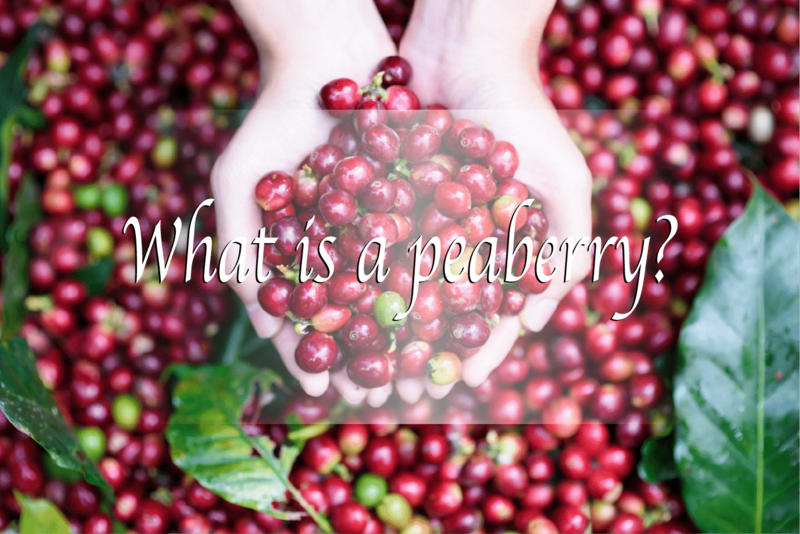 But what exactly is a peaberry and why are they so special? A peaberry (also called caracol, or “snail” in Spanish) is a natural mutation of the coffee bean inside its cherry. Normally coffee beans grow two to a fruit, flat against each other like halves of a peanut, but about 5% in the world grow a little differently and produce only a single bean. This single bean tends to be smaller, denser, and lets face it, just a little bit cuter than other boring, normal coffee beans. Fans think they taste noticeable sweeter and more flavourful than standard-issue beans. Yet others insist they can’t tell the different. There is no way of telling from looking at the cherry itself whether there is a single – or double bean inside. So instead these little guys need to be hand sorted after picking and processing in order to be sold separately. As a result, in many cases the peaberries are sold for roasting right alongside their normal counterparts. Occasionally, growers will hand select the tiny cute beans for a special premium sale, not because of their taste but because of the labour involved and the pure rarity of the peaberry. Want to try some yourself? We currently have a Ethiopian Guji Peaberry ‘Purple’ available as a single origin. Stunning fruity flavours like mango, strawberry and passionfruit. Light, bright and fruity. Perfect for the black drinker but not opposed to a dash of milk. Its best to email us directly at Sales@littleowlcoffeeroasters.com.au to ensure you get the correct coffee beans. Alternatively you can come visit us at our roaster in Myaree. Are you a peaberry person? Comment below with your favourite peaberry coffee.